In a vision of the night, I was shown this Mountain where true communion and worship of the Spirit takes place. Before any other mountain in our culture can be taken for the Lord – including the government mountain – it is the Mountain of the Lord that MUST BE ESTABLISHED FIRST. The Lord is calling His followers to come into this mountain because of the Terror of the Lord that is about to be released on the earth. It shall come to pass in the latter days that the mountain of the house of the LORD shall be established as the highest of the mountains, and shall be lifted up above the hills; and all the nations shall flow to it (Isaiah 2:2 ESV). And the haughtiness of man shall be humbled, and the lofty pride of men shall be brought low, and the LORD alone will be exalted in that day. And the idols shall utterly pass away. And people shall enter the caves of the rocks and the holes of the ground, from before the terror of the LORD, and from the splendor of his majesty, when he rises to terrify the earth (vs. 17-19). Though many are focused on the mountain of government right now – even distracted – there is a higher mountain that must be established and maintained in order to achieve the ultimate purposes of God. In a night vision, the Lord revealed what heaven is preparing for and what we must do to get ready. The Fear of the Lord is about to be made manifest in a dramatic way and the people of God must come together AS ONE in COMMUNION AND WORSHIP. It is only from this place within the Mountain of the Lord that we will have the power and grace to steward heaven being poured out upon earth – and become immune to the enemy’s counterfeits. In this night vision, I saw the Lion of Judah sitting on top of a fountain at the entrance to this Mountain. However, He was very small and almost insignificant in size. He had been stripped of His mane (the symbol of a Lion’s power and strength) and was looking into this fountain that was dry. There was no Living Water to draw from and He was focused on this desperate need. I could see that He was made from the same material as the Mountain – solid rock – and yet was fully alive. He was obviously on duty, absorbed with the lack of water in this fountain. The fear of the LORD is a fountain of life, that one may turn away from the snares of death (Proverbs 14:27 ESV). I then saw Man come and “shoe Him away” as if to say this Lion was in the way, not needed, almost like a child told to go and play. The gesture used was derogatory, as if to mock the Lion’s very existence. I knew it was a picture of the Anti-God Man that did not comprehend eternity or heavenly things. He had stripped this Lion of His power and might and simply mocked the One who was sitting before the Mountain. Because Man was blinded by his unbelief, there was no Fear of the Lord and no recognition of This One who was capable of utterly destroying Man with but one word. Yet, the Lion held back. The Lion then ran into the Mountain. Yet, I knew it was not running away, but running to something. I sensed it was on a mission. As I continued to watch, I saw a Being emerge out of the Mountain. It wasn’t human and yet it was alive, multi-dimensional and not of this world. I knew this Being was made from the very Rock that the Mountain was made from. It came out and dove into the side of the mountain, creating another entrance. It was on its face with rock and dust falling all around as it created this new entryway into the Mountain. I knew this was not an angel, but a heavenly being coming directly from worshiping – face down – at the throne of God. Enter into the rock and hide in the dust from before the terror of the LORD, and from the splendor of his majesty. The haughty looks of man shall be brought low, and the lofty pride of men shall be humbled, and the LORD alone will be exalted in that day (vs. 10-11). Once complete, the Being threw into this entrance four goblets along with a few other items. It was inviting us inside. As I walked in and saw the four goblets, I knew they were meant for Communion. We had been invited into this cave to share communion with one another and with this Being. The goblets were scattered to four corners and I knew it signaled a convergence. It was a coming together from all four corners of the earth and we were supposed take these goblets and come together. It was to be a time of sealing and agreement. The four winds, the four seasons, even the four rivers that originally flowed from Eden (Genesis 2:10); they were all coming together with us to join in agreement for heaven’s purposes. Even the goblets were made from the same material as the Mountain. They were beautifully carved, but almost transparent instead of covered with jewels or gold. This, too, symbolized the need for transparency with one another, allowing the very substance of this Mountain to flow within our veins. I was then given a hymnal. But, it was not of the earth. It was from this place in the spirit, and the music within was not of this world. Even so, something within my heart recognized the music. We were all given copies of this hymnal and now instead of this Being, there one like us who was now leading. I knew it was Holy Spirit coming to lead us in worship. As I started to sing from this heavenly book my spirit began to stir and awaken to another reality. Man, who was beside me, struggled to follow along. Though there was a desire to understand this expression of the heart, the flesh was unable to access it. I knew it had to come from the spirit within in order to join in and receive its life-giving power. As we followed the lead of Holy Spirit, we were coming into this supernatural reality of the kingdom. As I sought the Lord, my heart was broken as I felt His grief over the blindness of Man. The spirit of the age has stripped men of their faith to believe in a supernatural God whose very power is love. I felt His passion – and yet His holiness which, when rightly understood, causes a holy fear that pierces the soul. When we speak of another revival or outpouring coming upon the earth, He wants to make it clear that what is coming is UNLIKE ANY OTHER HEAVENLY VISITATION we have ever seen. Man has yet to see and experience the TERROR OF THE LORD which is also the SPLENDOR OF HIS MAJESTY (vs. 10-11). What the enemy is doing right now upon the earth is COUNTERFEITING THIS TERROR! Where the Fear of the Lord actually keeps us safe and empowers us to live and move and have our being, the enemy’s terror does the opposite. This can only be overcome by embracing the true Fear of the Lord in order to immunize ourselves against the counterfeit. Even as we see our Adversary threatening to take over all the mountains of culture, we MUST come together IN that Mountain of the Lord to learn how to worship in Spirit and Truth. We cannot access this place by our flesh. He has made a way. He is calling us to join those who are ALREADY worshiping around the throne, day and night, crying out to His HOLINESS in awe and wonder. As we continue to pray for this nation and for our families and communities, we must pursue this place of communion and worship with one another. We must seek to establish the House of the Lord as the highest of all other mountains. We must learn to follow the lead of Holy Spirit as He teaches us the worship of heaven. We must ask for, and walk in, a holy reverence and awe for the Mighty One of Israel. “That Day” is coming. It is not “The Rapture” as we have come to understand it. It is not His physical return. Not yet. 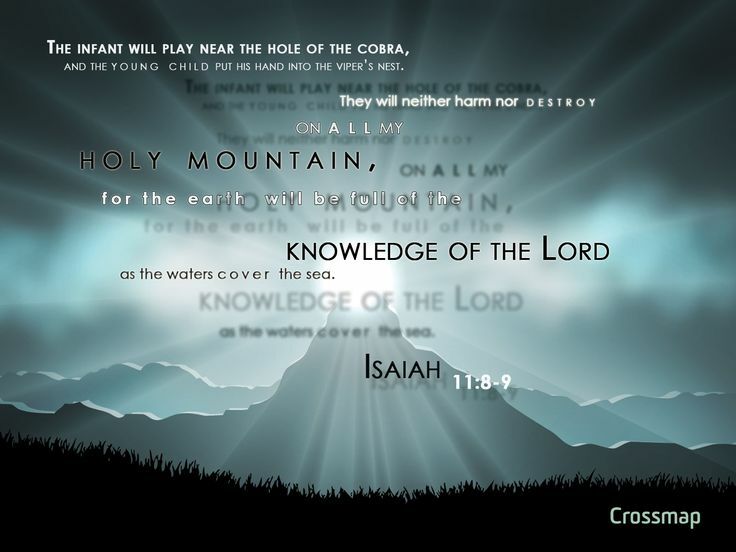 What is coming next is a move of God so powerful and so terrifying…. there are no words to describe it. And yet – it will be wonderful. Amazing. Powerful. Life-giving. Full of joy and wonder. But first, we must establish the Mountain of the Lord. It is a place where Holy Spirit leads and we follow. It is a place where differences are put aside and believers come together to gaze on the Only One worth our time and attention. It is a place of agreement and joy. It is a place hidden from the intrigues of man and the distractions of the enemy. It is a place without fear or doubt. It is where we come together to receive the grace that is needed, the power that is possible, and the perspective that is necessary, in order to rightly come into our inheritance as sons and daughters. When I first read your revelation of these things from the Lord, I felt itn my spirit a corresponding word; “They who are in the center of God’s will; will not be shaken” I felt this so strongly, like nothing I’d ever felt before, I have received a “certainty” from the Lord about a situation in the past, but never before a word. Praise the Name of the the ALMIGHTY and SOVEREIGN GOD, Hallelujahs and Hallelujahs! Glory to God in the Hightest! Bless the Lord, sister. What a precious and accurate voice you are for the Lord and His saints! May the Lord richly bless you and may your life in Him and your service to Him be ever kept and enriched by Him. In the church I attend the spirit moved upon me as they were singing theses dry bones come alive. I saw in the spiritual realm a army arising coming together from the North South ,East and West. I could see them in the spirit I could hear them marching coming together as a mighty army for the Lord!! Wanda do you think we will see healings? I haven’t seen a healing in so many years. It gets so discouraging to try to witness and tell people God heals and after long endless prayers they die. I wonder if this is why we have so much blindness in the church today. I think people want to believe they just don’t see the miraculous. I know God strengthens and heals in daily things but I am talking about the real attacks of the enemy…paralysis, heart and lung failures…ect. We sang in Kathryn Kuhlman’s choir for several years in the 70’s so I have seen real miracles. I read Heidi Bakers books and get inspired by the blind seeing and lame walking and deaf hearing. I do pray and believe but still don’t see the miraculous around me. Karen – In terms of healing, I can tell you of a recent healing in our own congregation. A friend of my daughters visited for the weekend recently. She has been a gifted gymnast and athlete, but was diagnosed with arthritis a while back and has been in extreme pain for almost a year. When she came, she was unable to move without pain. We gathered around her and prayed – spoke to her condition and told it to align with God’s wholeness and healing. Within 5 minutes, she got up with her jaw to the ground. NO PAIN. She was in shock (she later confessed she didn’t really think anything would change). The next day, she was out on our lawn video-taping her jumps and cartwheels that she hadn’t done for months. She is totally healed! So – YES – God is still healing today and we have been blessed to see many, even within this past year. Cancer has been healed and people are getting delivered and set free. And yet – this is only a taste of all that God has in store. Keep pressing in and believing for THE IMPOSSIBLE to be MADE POSSIBLE! Yes, and AMEN! As always, powerful and from the heart of the LORD. Much to chew on and allow the spirit to reveal anything within that would hold him back from bringing me to this place in Him.